Lancaster Farmhouse is located in the Central Market, and it is a brand of fine artisanal cheese and charcuterie by R.M. Heagy Foods. The client wanted a rebrand to demonstrate their rich heritage and focus on honest food from honest people. The strategy consisted of simple label architecture with vintage appeal to compliment their original logo. 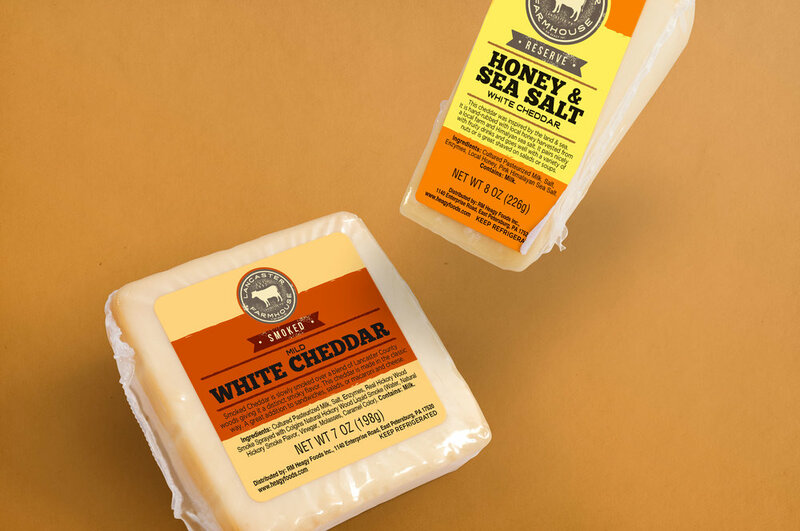 The label is also arranged so that consumers can easily differentiate between the types of cheeses available.